The Flash websites with flipping effect is beloved not only by publishers and photographers who exhibit their works online, but it is also used for various commercial projects. This tendency is just starting to grow, but we are sure that in some time we will see many attractive, functional and stylish online commercial and business projects with page flipping navigation. If a Flash flip book website is designed by a professional developer, it looks absolutely great, loads fast and impresses its visitors with convenient navigation and cool visual and sound effects. Due to Flash developers, now we have the advanced applications and tools for creating professional Flash websites with page flip effect at our disposal. If the digital book is Flash CMS based, it couldn’t be any easier for its owner to modify the website alone, without a professional’s help: add, edit or remove pages, buttons, images and other objects and elements. Today we have collected the examples of business/commercial Flash websites with page flip effect. We hope you will like them, and perhaps, they will inspire your to your own digital project with page flip effect in Flash. 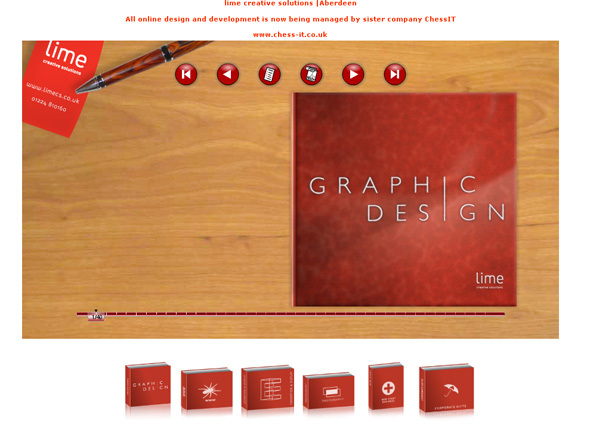 The Flash website of the advertising agency created in the form of a digital album with flipping effect. The website concept is really fresh and creative. 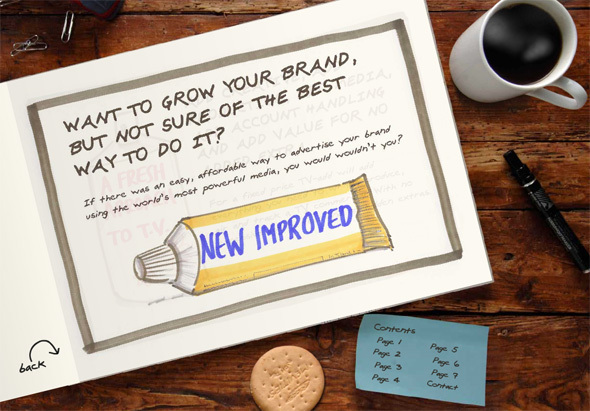 Create something similar for your commercial project, if you want to have the same eye-catchy and unusual website. 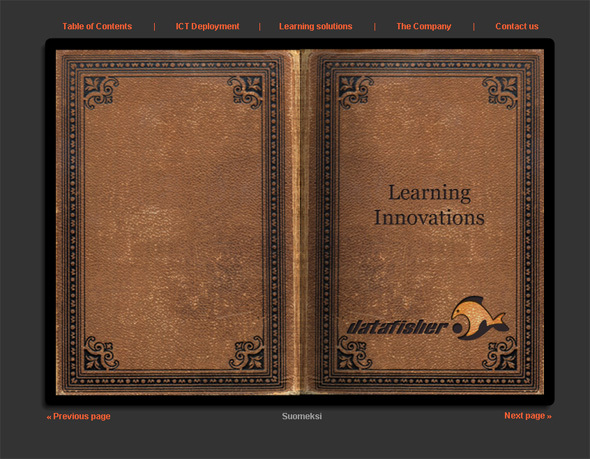 The Flash website of the consulting company Datafisher. The pages of this digital book can be turned over not by dragging the page’s corner or clicking on it only, but also with the help of the menu sections. 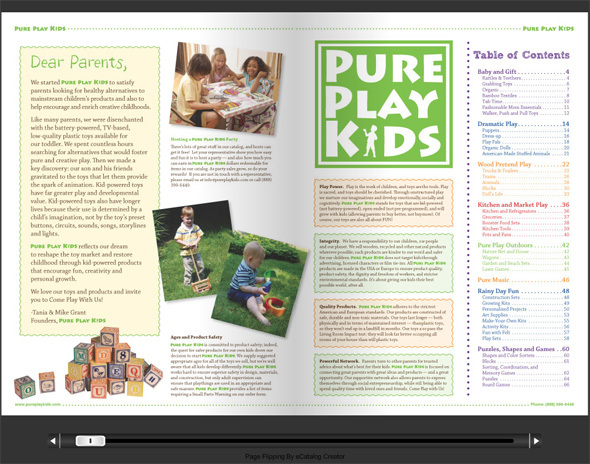 The Flash flip book of the company that offers pure products for kids. Performed in the form of a paper magazine. Also, you can browse the digital catalogue by dragging the slider below the flipping magazine. The Flash flip design of the company that specializes in online design and development. The designer created separate flip books for each website section. The navigation is also multifunctional: by dragging the slider or with the mouse. 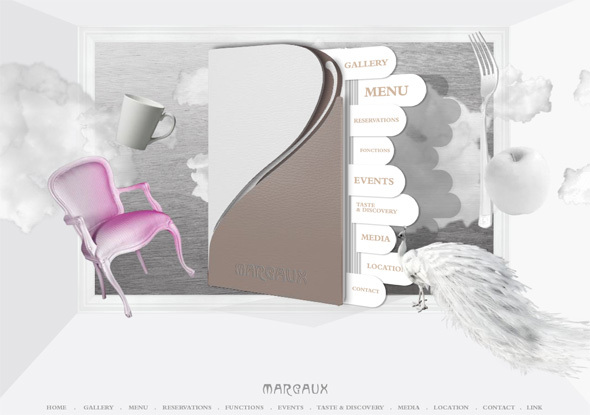 Browse the collection of Flip Books in Flash and think about your own website in such a style!